Its time again for the local crowd to see all the films they missed during the FH Film Festival because they were busy with all the business brought in! Friday Harbor Film Festival presents “Given”, a festival big hit with all – especially families. 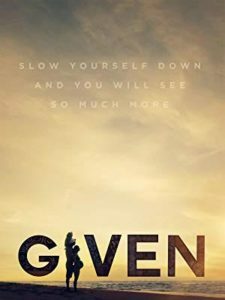 Given is a filmed travel journal as a young boy from Kauai and his family travel around the world seeing the world while looking for the perfect wave. The story is told through a few of the 6-year old’s notes. Great for wintery times here. DONT MISS IT!